Christian Voices like a good challenge but not as much as our latest “good cause” which we supported through our performances of our play “Let My People Go“. We find ourselves in awe of the work and dedication of the Bexhill Street Pastors – indeed of all the Street Pastors nationwide. These dedicated inter-denominational individuals offer care, support and advice to those in need on the streets of Bexhill and Sidley. Astonishingly, they patrol until 2am every Friday and Saturday night. It’s important and impressive work – reaching out to our youth and the most vulnerable when they most need it. I know I would struggle in such a role and this is why Christian Voices were so pleased to do just a little to help the cause. 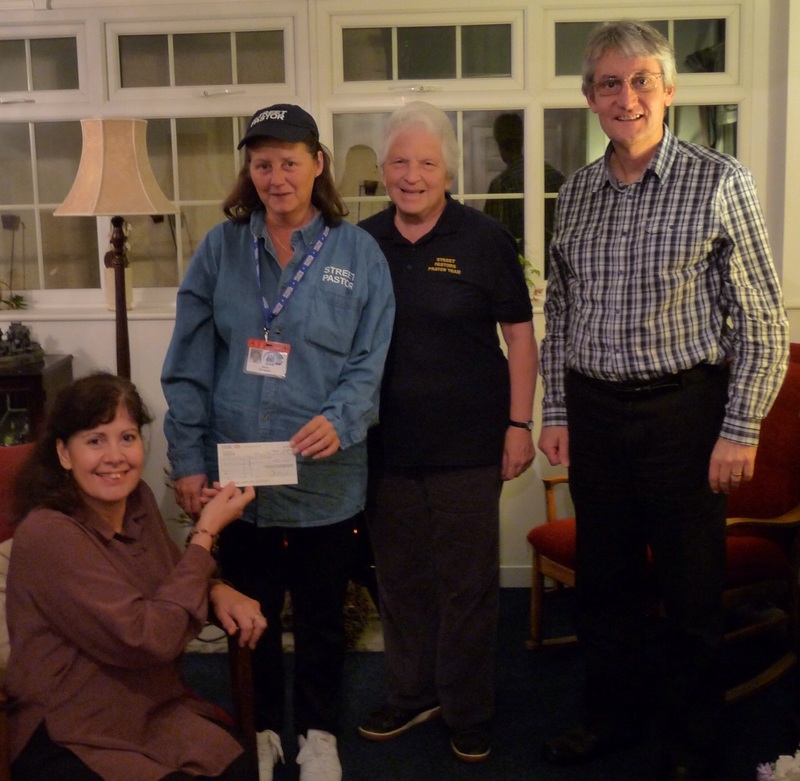 Through the generosity of our audiences for “Let My People Go” Christian Voices were able to raise £475 towards Bexhill Street Pastors’ £20,000 budget. 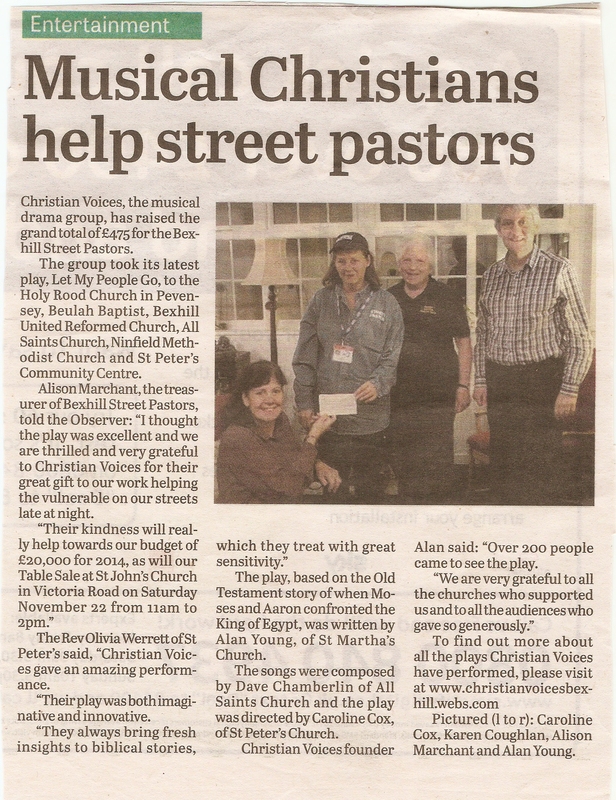 Our fund raising for Bexhill Street Pastors has been written up in the Bexhill Observer, as can be seen below. But there’s more! Alison Marchant, treasurer of Bexhill Street Pastors, wrote the kind letter of thanks that follows and sent it in to the Bexhill Observer! Thank you, Alison, for the kind words. Posted by christianvoicesbexhill on 25/11/2014 in Comments, News, Performances, Press and tagged Comments, Fund Raising, News, Performances, Plays, Press.